Provides most scientifically advanced method of sealing and protecting teak against dirt, stains and.. 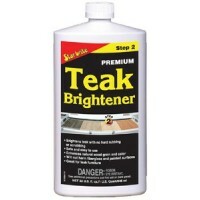 Formulated to brighten and lighten teak one shade. Also designed for use as in between maintenance s.. 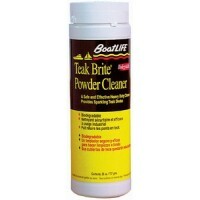 Heavy-duty one-step powder cleaner. For teak decks and trim. Restores stained teak without sanding. ..
Scrub-less. 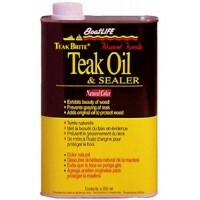 Removes rust, fuel, oil, food stains, fish blood, grease and old sealers. 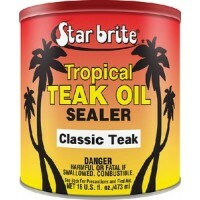 Use on teak on.. Traditional Scandinavian blend of oils for the ultimate protection against the elements. 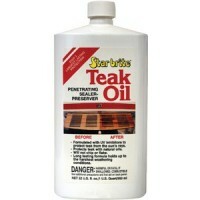 Size: 1 lit..
Nu teak 1 step teak cleaner qt Size: Quart..
Nu teak teak oil - pt. 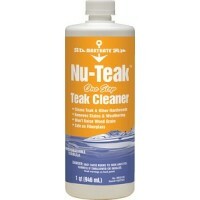 Size: Pint..
Nu teak teak oil - quart Size: Quart..
2 part cleaning system is the easy and affordable way to recondition your teak. The 2 step process r.. Does not contain acids or harsh chemicals. 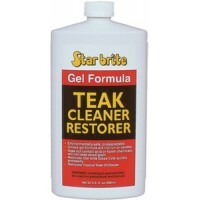 Does not raise wood grain, removes Starbrite Instant Glas.. Gives extra long lasting protection and natural golden color. Easy to use. Size: Gallon.. Gives extra long lasting protection and natural golden color. Easy to use. Size: Pint.. Gives extra long lasting protection and natural golden color. Easy to use. 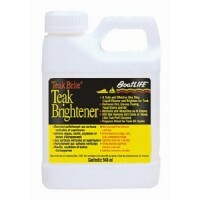 Size: Quart..
Brightens teak and other fine woods. 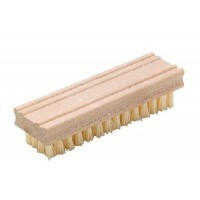 Highlights wood grain and enhances warm natural color. Wipe on .. 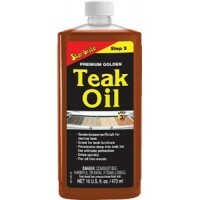 Ideal preparation for oiling teak. No neutralizers needed. Removes stains, fish blood, etc. and weat.. 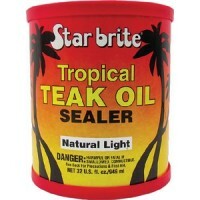 Finest oil for beautifying and preserving teak and all other fine woods. The ultra-refined tung oil ..
Cleans & brightens in one step. Biodegradable formula. Contains no phosphates, formaldehyde or harsh.. 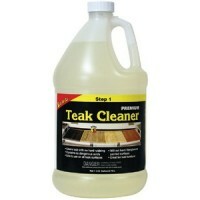 Contains everything needed to clean, restore and protect teak. 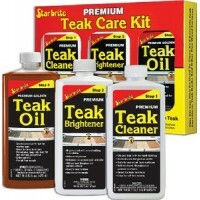 Comes with teak oil, brightener and c.. Seals and protects teak and other fine woods and contains ultraviolet absorbers to resist weathering..
Makes teak almost maintenance free. 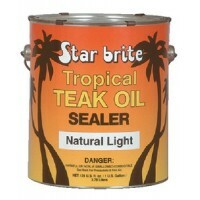 Will outlast any oil or sealer and is easy to use. No-drip, no-s..